What happens when an old man wakes up one morning and finds that everything around him now fills with revulsion? What happens when Faleasa Osovae, the highest ranking alii in the village of Maalaelua, feigns madness and throws away his responsibilities as a chief? Samoan chief, Luao Nuulua, is seeing the impact of America's cultural revolution in his small village of Mu. His rivals want to open up Mu to development. Nuulua resists them, fearful of outside influence. When his son murders an American, his rivals find a way to destroy him. Nuulua's world quickly unravels when his best friend and daughter-in-law side with his enemy. Behind the scene, Mu's priest rallies the village for a showdown. Forced into a conflict, Nuulua must choose between following the warrior ways of his ancestors' akua or his Christian faith. The path he takes has costly consequences. 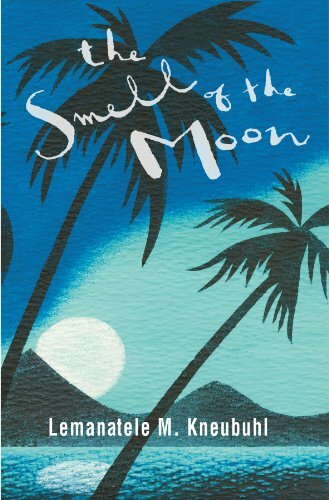 he Smell of the Moon celebrates a return to humanity, to family and community, to a place where your senses can live large ... where you can smell the moon! If you have ever flirted with the idea of chucking it all in for the good life then you will enjoy this whimsical, satirical and wise take on trading it all in for a slice of paradise. 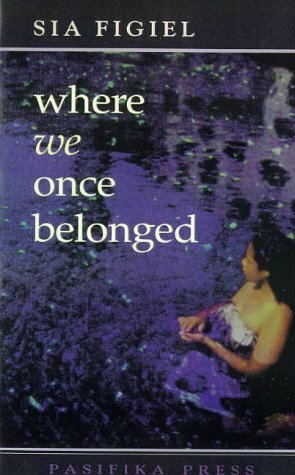 When Leila moves to Samoa, all she wants is a family, a place to belong. Instead she discovers the local ancient myths of the telesa spirit women are more than just scary stories. The more she finds out about her heritage, the more sinister her new home turns out to be. Scar of the Bamboo Leaf by Sieni A.M. Call Number: H A. M.
"Walking with a pronounced limp all her life has never stopped 15 year old Kiva Mau from doing what she loves. While most girls her age are playing sports and perfecting their traditional Samoan dance, Kiva finds serenity in her sketchbook. Kiva is drawn to Ryler Cade an angry and misguided student sent from abroad to reform his violent ways. Soon old family secrets surface that make her question everything." This story by Samoan writer Wendt, tells of "star-crossed lovers spotlights the complex nature of love, freedom and racism in New Zealand." Paul Tusifale is a twenty eight year old Samoan American who is trying to find his place in a culture that barely acknowledges hi existence. Set in San Jose, Paul, a drifter, takes an interest in defending those in need. This vivacious collection of poetry charts the author's experience with the sometimes painful intersection of New Zealand and Samoan cultures in her life. Alive with the energy and rhythm of performance poetry and oral traditions, these poems reshape common understanding of culture. The life of Samoana, a ten year old Samoan girl, provides her insights on school, church, friends, family, violence, western good and much more. Told in short vignettes, her prose is in English sprinkled with Samoan.